Don’t wait for age to surprise you…know what is hiding beneath your skin! Getting an in-depth understanding of your skin is the first step towards complexion health and vitality, which is why we offer the VISIA Skin Vitality Complexion Analysis at GLO Antiaging Treatment Bar in Calgary. VISIA’s precise imaging provides the most comprehensive means available for measuring and identifying all aspects of your skin’s health. 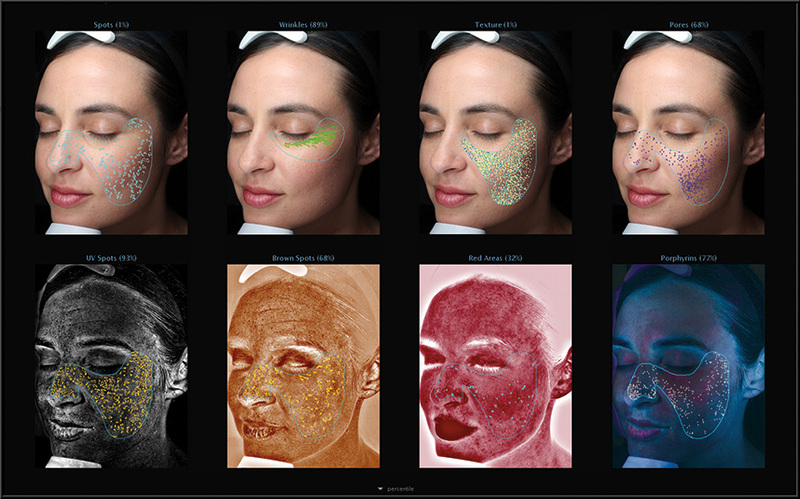 This revolutionary technology enables the targeting of problematic features including: uneven textures, wrinkles, sun damage, bacteria, rosacea and other imperfections. 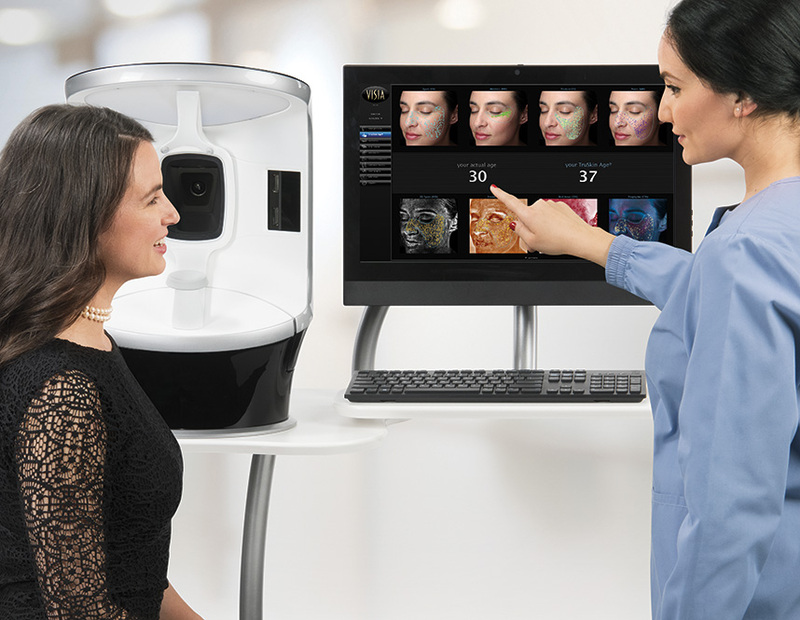 With the help of the VISIA technology, GLO’s clinicians are able to provide you with a uniquely personalized skin analysis that is utilized in combination with your concerns, goals and budget, to create a customzied treatment plan for optimal results. The VISIA looks deep beneath your skin to capture high-quality images and automatically measure surface and subsurface skin conditions including sun damage, wrinkles, pores, red spots, bacteria, and overall texture. 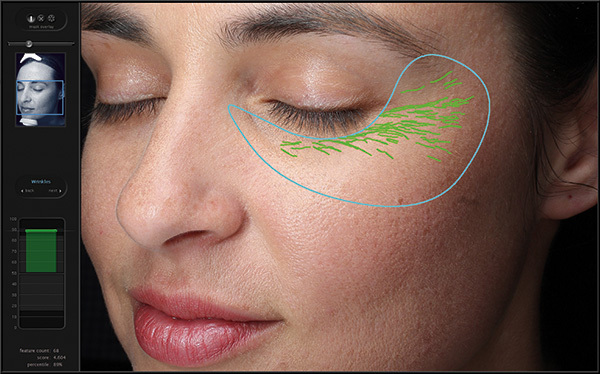 The imaging results are then used by our antiaging experts to provide personalized recommendations for treatment and/or preventative actions. 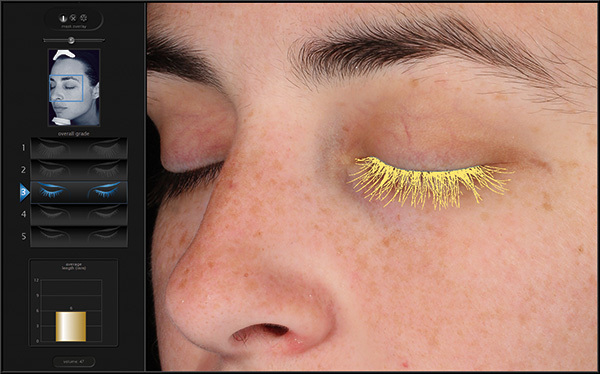 Using the data above, the VISIA is able to calculate your TruSkin Age®, Percentile Score (grade of your skin relative to others of the same age and skin type), eyelash analysis, and side by side comparisons of past captures to show your progress. 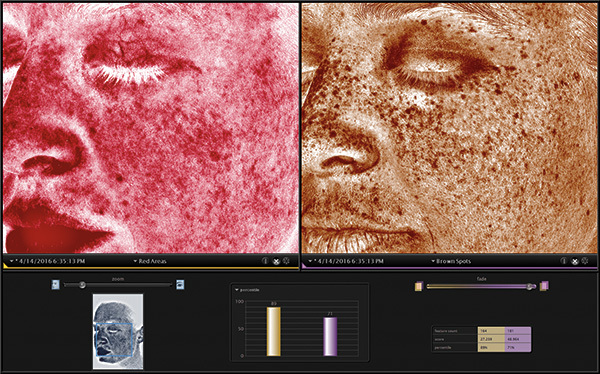 Including TruSkin Age®, VISIA’s patented comparison to norms analysis uses the world’s largest skin feature database to grade your skin relative to others of the same age and skin type, measure spots, wrinkles, texture, pores, UV spots, brown spots, red areas and porphyrins/bacteria. To learn more about the underlying health of your skin and your skin’s “true age” contact GLO Antiaging Treatment Bar in Calgary at 403-455-0444. If your preference is email, please fill out the form below.